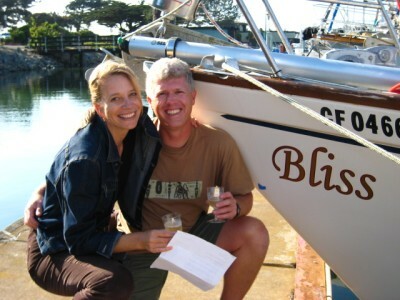 Matey, Mellisa and Craig sail on Pura Vida out of Berkeley, California. Adrian Johnson's blog of Idefix adventures in the Single Handed Transpac and beyond. The world famous sailors and authors, Beth Leonard and Evans Starzinger. The adventures of Jolanda and Tod on Bliss. Pachuca around the world. Robert Morales in his S&S 39. The blog of Jeanne Socrates' many circumnavigations. The blog of Cloud Nine's traversal of the Northwest Passage. It was an honor to sail with Chris Parkman on the Bay. 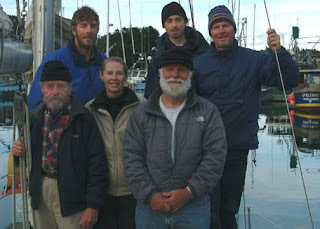 Amikuk is sailed by Rachel, Jill and David from Homer, Alaska. We met them in San Diego on their way to New Zealand. Rosario participated in the 2006 ARC. Tni and David are now back in the Bay Area. Nick is sailing single-handed from Holland to Australia.